Leave the comfort of land far in the distance and escape on the waves! 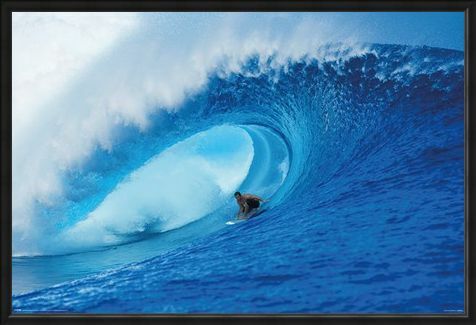 Curling and spraying around this surfer, the bright blue wave makes him seem almost small and insignificant. Like a void of calm as the water whips under the board, this brave adventure-seeker creates a visual pinpoint to this poster. A perfect addition to your beach hut or home, this design is sure to make you feel like a part of the waves where ever you are. 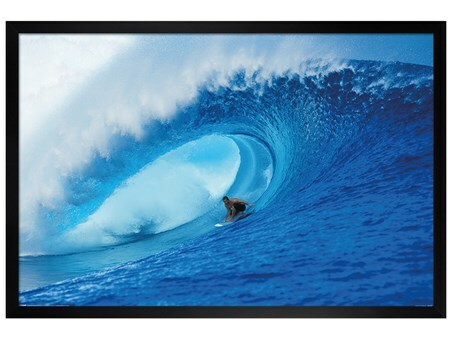 High quality, framed Riding The Wave, A Deep Blue View poster with a bespoke frame by our custom framing service.